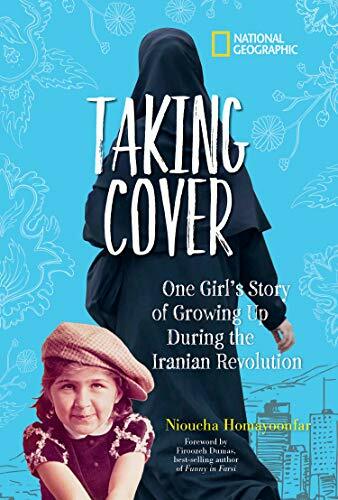 This timely memoir, chronicles the author’s childhood growing up before and after the Iranian Revolution. What started as a happy, loving childhood soon turned into a horrifying one where she was constantly living in fear and always having to look over her shoulder. At the age of five, Nioucha’s French mother and Iranian father decided to leave their home in Pittsburgh and return to her father’s home of Iran. This was during the 1970’s when different religions could co-exist and men AND women were allowed to achieve college degrees and obtain professional careers. As she adjusted to living in a new environment, adjusting to the Iranian culture, learning the language, making new friends, and reacquainting with her family she soon started to love her life in Iran. With the overthrow of the shah and Ayatollah taking over, Nioucha’s childhood was much different. Girls and women no longer had rights, full robes and scarves must cover their entire bodies, and religion classes were required (which got Nioucha in a bit of trouble). The book begins with Nioucha out for a walk with her mother and younger brother when she is kidnapped by the Black Crows. She was kidnapped for a sliver of her wrist showing at the bottom of her robe and a strip of hair from her scarf peeking out. She was taken right in front of her mother and there was nothing her mother could do to stop them. As Nioucha tells her story, she reflects back on a time when life in Iran was happy and easy. From 1980-1987, Nioucha tells how her family embraced the culture of Iran and then did all they could to survive the new regime. Photos of her family are included in the book as well as an afterword that brings the reader up to 1998. 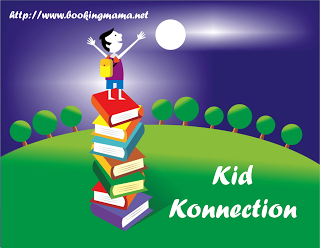 This book is written for middle-grade and older readers with short chapters. But, the material can be heavy and disturbing at times. But there are also some wonderful sections where the author describes the beauty of her country, the delicious food they prepared for gatherings, and the love and sacrifices her family made for each other. Knowing these struggles and sacrifices the author was a part of can offer an opportunity for an enriching conversation about religious, social, and political freedoms with your child. This February marked the 40th Anniversary of the Iranian Revolution. Nioucha Homayoonfar was born in Brussels to an Iranian father and French mother. She spent her earliest years in Pittsburgh and became a teenager in Tehran. Homayoonfar grew up caught between two worlds: a free and Western life lived indoors and a repressive life lived outside the confines of her family home. The family finally left Iran when Homayoonfar was nearly 17 years old. In the US, she studied art history and Spanish at the Unversity of Pittsburgh. She now lives in the DC area with her husband, the author and journalist Stew Magnuson, and their two children.